Buying a Built-In Grill Head means that you can have your steak and eat it too. 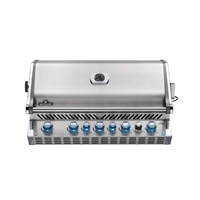 The Napoleon Built-In Prestige PRO 500 grill head provides unparalleled performance and durability, but doesn't skimp on the style. BTUs of cooking power. 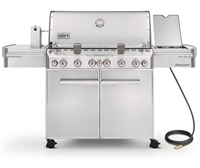 This backyard superstar is the top four-burner gas grill. It includes a high-performance Sear Station, infrared rear-mounted rotisserie burner for use with the Tuck-Away rotisserie system with flip-up motor and 580 sq. in. of wide-open space to grill your heart out. smokehouse flavor. 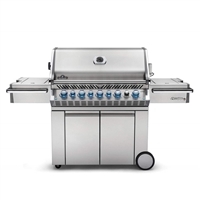 This Weber Summit E-470 4-burner liquid propane gas grill displays an array of grilling features designed to put 88,800 BTU of heating power at your disposal. Use the flush-mount side burner for preparing side dishes and a smoker burner with a stainless steel smoker box for infusing foods with smokehouse flavor. features, you will enjoy cooking on this gas grill. The Summit S-670 gas grill is the top-of-the-line grilling masterpiece. officially arrived. Cook delicious food right all summer with the Prestige Series P500RSIB Gas Grill. This industrial-sized grill has 4 main burners, 1 infrared rear burner, and 1 infrared side burner. Holds up to 30 burgers at a time. Wavy grids offers even heating. 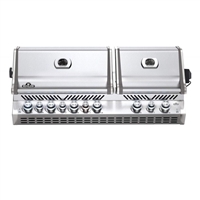 You will love the Weber Summit E-670 6-burner liquid propane grill. This grill displays a sleek appearance with polished trim and the LED tank scale and storage area all enclosed. 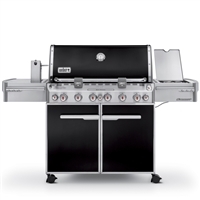 With so many features, you will enjoy cooking on this gas grill. 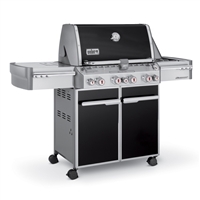 You will love the Weber Summit E-670 6-burner liquid propane grill. This grill displays a sleek appearance with polished trim and the LED tank scale and storage area all enclosed. 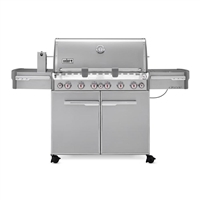 With so many features, you will enjoy cooking on this gas grill. The Summit S-670 gas grill is the top-of-the-line grilling masterpiece. officially arrived. You can experience true top performance with the Summit S-660 gas grill. SlindeFrame design, and so much more. 26". Color: chrome/smoke/stainless steel. Built-In Gas Grills. 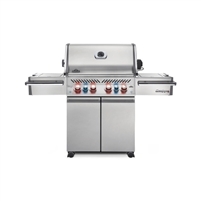 The 2019 Napoleon Prestige PRO 665 brings engineered quality at an economical price to your grilling experience. 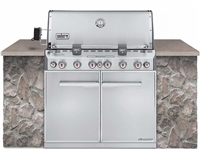 This built-in natural gas grill has five stainless steel tube burners that provide up to 60,000 BTUs of cooking power. Built-In Gas Grills. 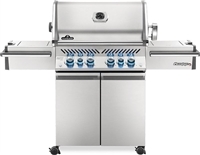 The 2019 Napoleon Prestige PRO 665 brings engineered quality at an economical price to your grilling experience. 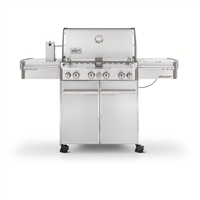 This built-in propane gas grill has five stainless steel tube burners that provide up to 60,000 BTUs of cooking power. The grill has 665 square inches of main cooking area and 335 square inches of warming area for a total of 1000 square inches of cooking area. 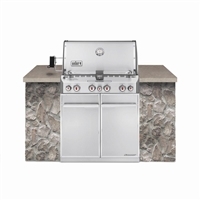 Napoleon 44" Prestige PRO series liquid propane gas freestanding BBQ frill featuring infrared rear and side burners - stainless steel WAVE rod cooking grids and Night Light control knobs. engineered quality at an economical price to your grilling experience. flare ups and keep your food moist. Give your grilling imagination some extra space to spread out with this sleek Summit Grill Center with striking black finish. It includes a full-sized Summit E-670 grill and lots of extra cabinet space for storing all your tools and accessories. Give your grilling imagination some extra space to spread out with this sleek Summit Grill Center with striking black finish. It includes a full-sized Summit E-670 grill and lots of extra cabinet space for storing all your tools and accessories. Summit Series gas BBQ grills are the crown jewels of the Weber family, with exclusive features, the highest level of performance and stunning looks. The Weber Summit Grill Center is packed with everything you need to enjoy the outdoor kitchen lifestyle and entertain guests. Heavy-duty 9 mm (3/8 inch) stainless steel rod cooking grates and stainless steel.